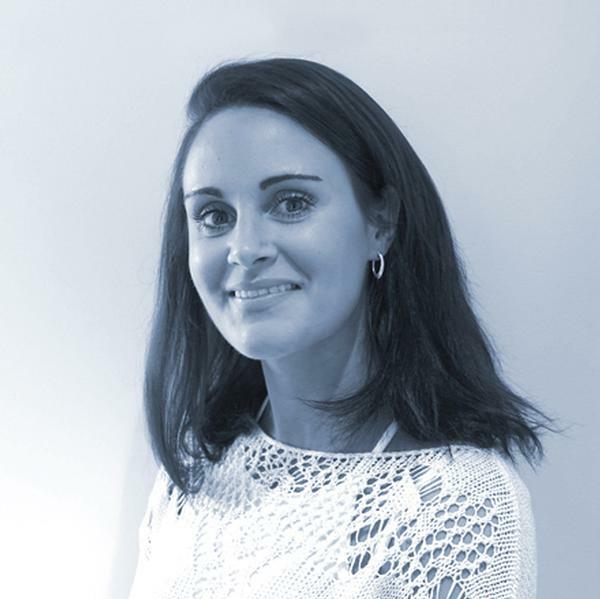 Gym members are typically more engaged when operators deliver new, popular and innovative group fitness programmes," says AquaPhysical co-founder Leila Francis Coleman. "Pool-based classes can transform a swimming pool into the 'new gym', attracting a broader demographic, including high-spending millennials." There have been some exciting new developments in the market – from workouts on floating boards to improve strength and balance, to HIIT classes in the water that get the heart pumping. These classes bring members out of the gym and into the pool for a new challenge and a fun experience. There are many reasons to work out in the pool. Balancing on a board works the core and the smaller, stabilising muscles that often go unused in other workouts, explains Francis Coleman. In-water classes, meanwhile, utilise the natural resistance provided by the water, without the use of weights. Classes have the added benefit of introducing people to the pool environment in a fun, supportive way. 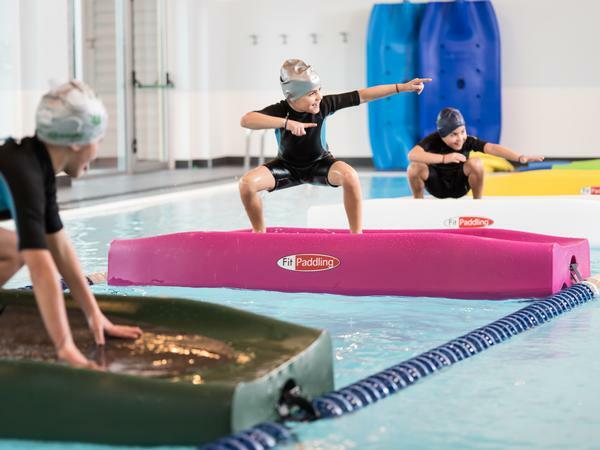 Paul Taaffe, director of Swimsanity, says: "Classes also encourage people who don't swim often to enter the pool and start improving the key skills needed for swimming". Finally, at a time when people are constantly looking for something new and different, pool-based classes provide just this. "These classes keep regular and new participants excited, interested and keen to share with their friends," agrees Francis Coleman. So where to start? If you're ready to make waves, read on for a round-up of the classes and products available. 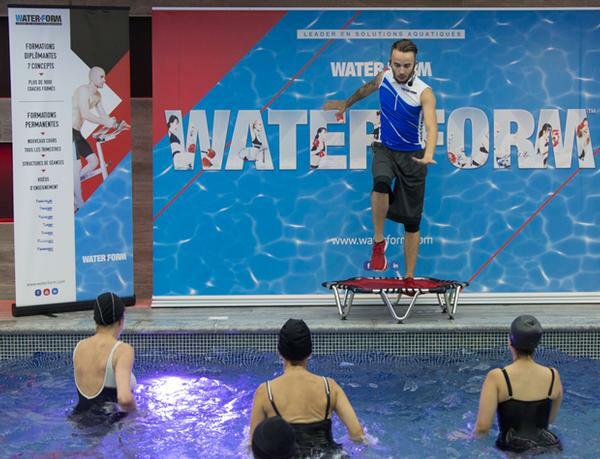 Waterform has created eight aqua fitness concepts that include equipment, training and programmes? : Bodyslim, Boxing, Cycling, Jump, Power, Training, Vitality and Workout. A new Waterkid concept has also been developed for children from seven to 13 years old. Why will members love it? Classes are designed to be fun and effective, allowing members to work their whole body and not get bored. 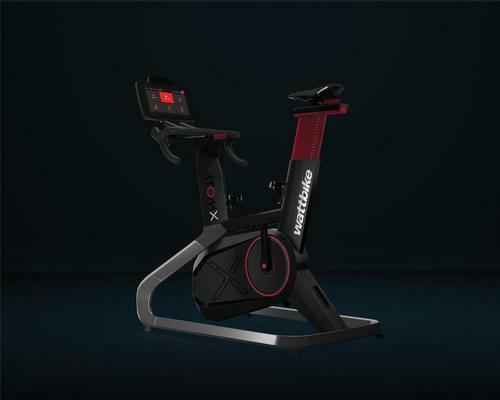 The classes suit participants of any fitness level and products manufactured by Waterform can be used to increase water resistance, making cardio and strength workouts more intense. 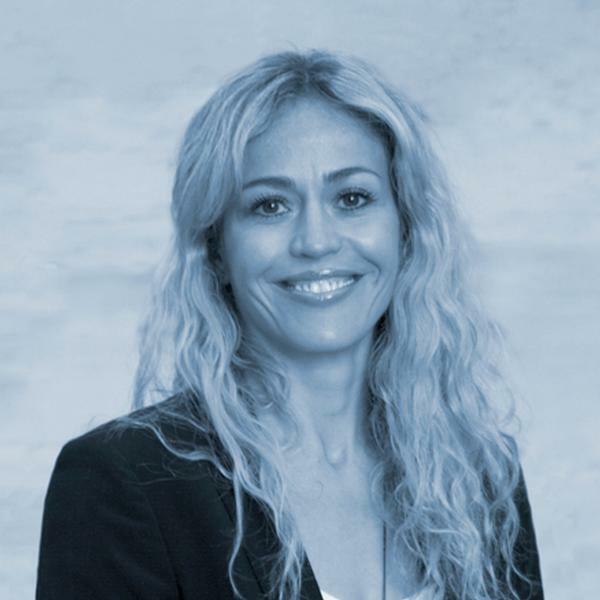 Sandrine Gueho, business development manager, says: "France is the most mature market for aqua fitness and Waterform has been the market leader there for over 20 years. "We're water specialists – aqua classes are very different from fitness classes and we know how to get the best benefits from the water for members. "Using its programmes, Waterform works in partnership with operators to make pools into profit centres. Sandrine Gueho: "France is the most mature market for aqua fit. We've been market leader for 20 years"
FloatFit is a 30-minute group exercise class. A mix of HIIT and yoga-style movements on water using a floating exercise mat – the AquaBase. FloatFit classes are designed to be fun, effective and challenging. Participants typically burn up to 400 calories per class. The programmes focus on flexibility, coordination and balance, continually challenging the core to stay balanced. Cardiovascular fitness is supported by raising heart rate through a HIIT structure. Classes also help to locate imbalances in the body and improve muscular strength. The programmes work and strengthen intricate stabilising muscles that are often unused in other workouts. Leila Francis Coleman, AquaPhysical co-founder, says: "FloatFit offers the opportunity to make a swimming pool the new gym. Clubs can create a brand new, highly profitable income stream by introducing FloatFit classes, which attract a broad demographic into the pool environment, including members from the high-spending millennial market. 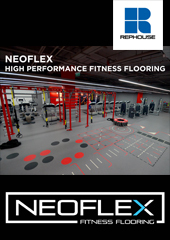 "Standing out from the competition is vitally important in today’s fitness market. FloatFit is the perfect way to gain competitive advantage and drive interest. Classes often draw crowds of onlookers wanting to know what the new class is and how to take part themselves." Leila Francis: "Make the pool the new gym, with its own highly profitable income stream"
Aqua Zumba is a water-based workout that blends high-energy Zumba moves with aqua fitness. The workout combines contagious Latin-inspired world rhythms but adapts them for the pool, using the water’s resistance to create a safe and effective low-impact programme. Often known as 'the pool party', Aqua Zumba is designed to be fun. Aside from the entertainment factor, many people find working out in water very therapeutic, as it creates natural resistance, which helps tone the muscles and build cardio fitness and strength. There's less impact on the joints than in a land-based Zumba class, so members can really let loose during Aqua Zumba. This also makes it suitable for people of any fitness level. 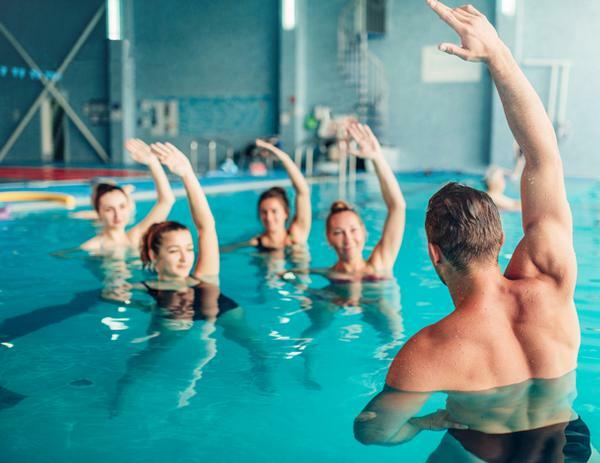 Dave Sibley, managing director of Zumba Europe, India & Russia, says: "For gyms with swimming pools, Aqua Zumba is one of the most compelling offerings to have, because it offers members something entirely different from their existing standard studio classes. "Zumba has an established heritage of providing instructors who deliver world-leading fitness experiences. "The combination of signature Zumba moves to a catalogue of high-energy Latin-inspired tracks within a water-based environment is very attractive – in fact, Aqua Zumba is probably the most fun you can have in the pool!" 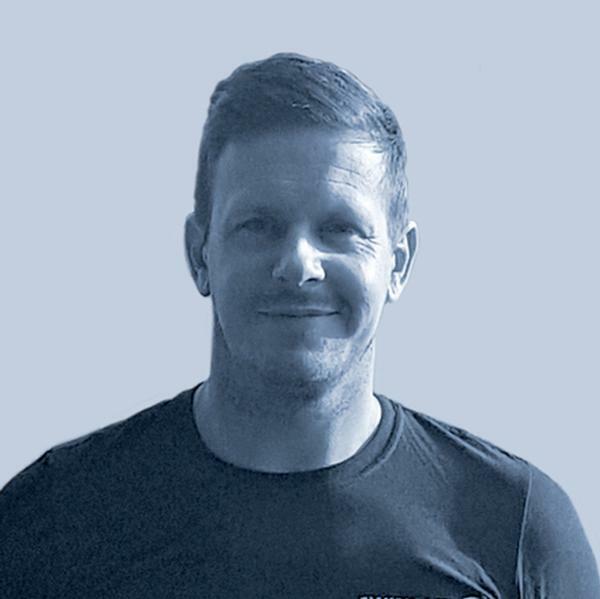 Dave Sibley: "Aqua Zumba is probably the most fun you can have in the pool"
Swimsanity is a high intensity aquatic workout incorporating swim drill movements, as well as familiar gym exercises, while remaining suitable for all abilities and fitness levels. Aqua aerobics classes are seen by many as a female-only or for older members. Swimsanity breaks this perception. By focusing on popular HIIT principles, it attracts male and female participants of all ages and all levels of fitness. The Swimsanity workout uses Swimsanity hand paddles that increase the resistance in the water, allowing traditional resistance training exercises to be taken into the pool. "Our team has over 20 years' experience in sports science and swim coaching – our product isn't a gimmick. The class is a fresh, exciting and effective workout that appeals to all genders and a multitude of fitness levels. Swimsanity is also low-cost for clubs and attracts new members." 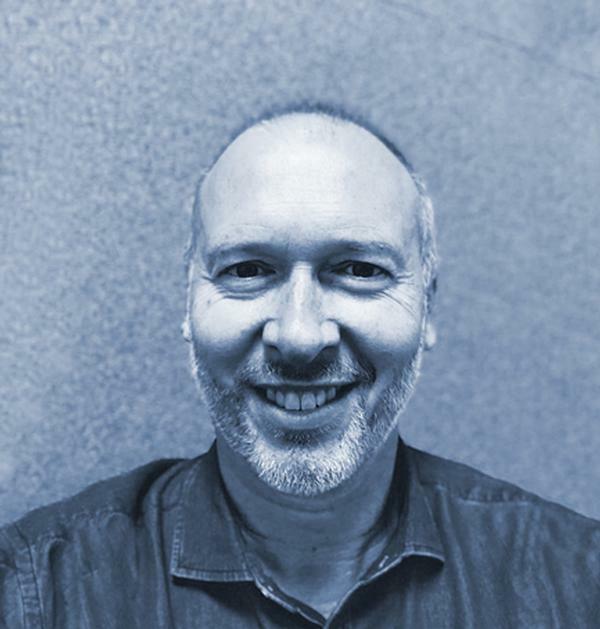 Paul Taaffe: "The Swimsanity team has 20 years' experience in sports science"
Fit Paddling combines traditional exercises with paddling. All exercises are done on a floating Fitness Board. In addition to Fit Paddling Classic, other programmes have been developed for the Fitness Board, including pilates, yoga, functional, weight lifting, pre-ski and, most recently, Fit Paddling Boxe. Fit Paddling Boxe is done with the Fit Paddling punching ball accesory, which is positioned on the board with a quick release attachment system. It's a fun and explosive workout – participants practice kicks and punches while balancing on the board, bringing boxing training to a totally new level. The workout involves all muscles during every exercise, improving strength and endurance, plus balance, coordination and posture. Because exercises take place on water they're all low impact. The board is designed to give the user optimum control, which means members won't be constantly falling into the water. 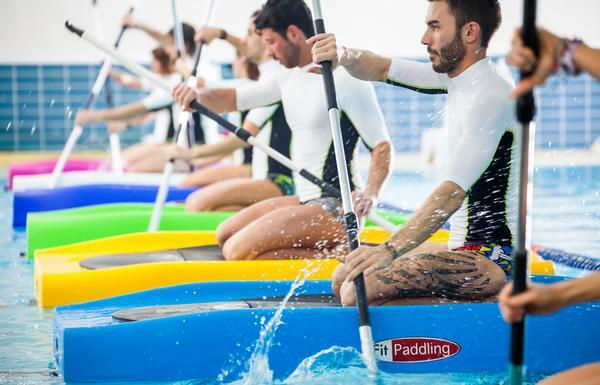 Ilaria Samarelli, Fit Paddling trainer, says: "The Fitness Board is often compared to air mattresses, but we want people to understand they're not the same. "The Fitness Board is designed to respond to progressive instability, which means it can be used by people of most weights, from children to adults – even those weighing over 100 kg. The board is stable and doesn't bang against the water, but moves with it." 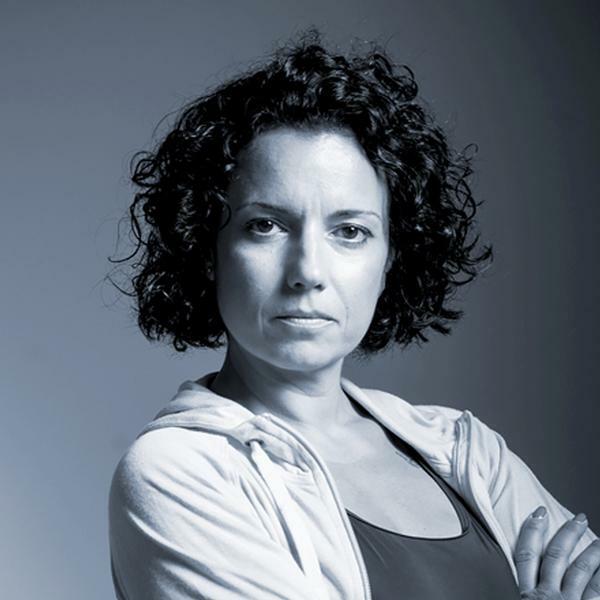 Ilaria Samarelli: "The Fitness Board can be used without being anchored"
Programming: between £88 and £175 per month for each individual club location Small equipment: starts from £28 and big pieces from £570. Costs depend on the quantities and on the adopted solution. Training and certification, at Waterform's training centre in France, or on-site. New class programmes every three months, including online training and playlists. Waterform also offers equipment, which can be used to add resistance and make workouts more effective. Waterform works with more than 1,600 facilities, which are mainly located in France, Switzerland, Belgium, Germany, Spain, Dubaï, Canada and now in the UK. Club packages start from £4,520. The Platinum Club Package is the most popular at £6,300. Instructor training – face-to-face or online. Training is internationally accredited and trainees can earn up to 10 CPD points, depending on the accrediting country. New programmes are released quarterly with monthly updates. Customers also get marketing support. FloatFit classes are currently in more than 40 clubs in the UK with an additional 100+ locations around the world. 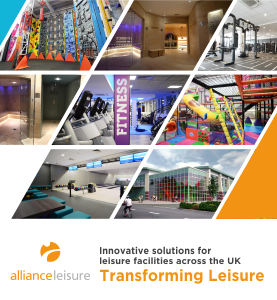 AquaPhysical's customers include: YMCA, GLL, DW Fitness First, Fusion Lifestyle, Holmes Place, Center Parcs, David Lloyd Leisure, Royal Navy and US Army. Instructor training: approximately £230 per instructor. Instructors must already have the basic Zumba qualification – a Zumba B1. There are no additional costs for operators. Aqua Zumba training is a one-day intensive course where instructors are taught the key Aqua Zumba moves, combinations and techniques. They are given a music and choreography collection to get started, and a digital instructor training manual to refer back to. Aqua Zumba is offered in several hundred gyms and leisure centres around the UK, including: Virgin Active, DW Fitness First, Bannatyne Health Clubs, Nuffield Health, Everyone Active and David Lloyd Leisure. Additional instructors at the same club are £99 each. Operators get instructor training, a license, hand paddles, t-shirts, marketing material, website listing and continuous support. 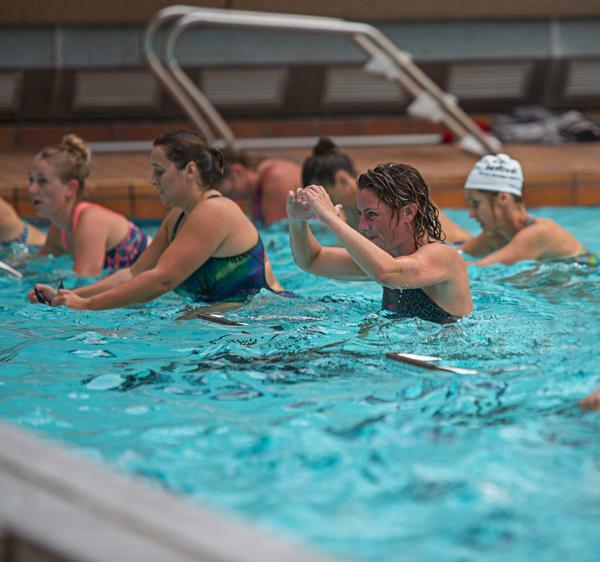 During a one-day course, instructors learn a system of creating effective aquatic workouts, which can include many different drills. Two in Ireland: Breaffy and Ealu Leisure Centres and two venues in the US and Canada. Fitness Board: €390-€720 per board. Instructor training: €150 per participant. Buy eight boards to receive a free training course for one person. Training can be carried out on-site or through an e-learning platform.Certified participants are placed on an Official Fit Paddling Register, while an online portal for instructors contains choreography, planning and programming resources, which are regularly updated. Fit Paddling boards are currently used in many leisure centres in Italy, Taiwan and Kuwait. Fit Paddling also has a US distributor and the boards are used in Florida, Colombia and the Dominican Republic.